Ottawa Bank Street Mitsubishi Dealership by Dilawri is conveniently located in Ottawa Ontario, just minutes away from Vanier and Gloucester, Nepean and Kanata. Ottawa's Mitsubishi by Dilawri has Ottawa's largest selection of New Mitsubishi and certified preowned Mitsubishi vehicles from cars and trucks to vans and SUVs. 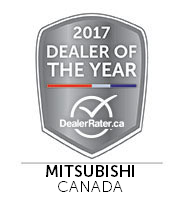 If you're looking to buy a new or used Mitsubishi in Ottawa, then Ottawa's Bank Street Mitsubishi by Dilawri is the Mitsubishi dealer for you. Our team will assist you with searching the largest Mitsubishi inventory in Ottawa for your new Mitsubishi Lancer, Mitsubishi Mirage, Mitsubishi RVR, or Mitsubishi Outlander from Ottawa's Mitsubishi Dealer Bank Street Mitsubishi. For years we've served satisfied customers in Ottawa, and surrounding communities such as Vanier, Gloucester, Gatineau, Orleans, and Hull as well as many clients all over the province of Ontario. Vist Bank Street Mitsubishi by Dilawri today at 2565 Bank Street, Ottawa, Ontario K1T 1M8. Bank Street Mitsubishi carries new Mitsubishi Cars, SUVs, Hatchbacks and Coupes. We're proud to be located in Ottawa, Ontario. At Bank Street Mitsubishi we will do anything and everything to earn your business. Receive the best service possible for your new or used Mitsubishi vehicle at Bank Street Mitsubishi. We've got you covered with quality genuine Mitsubishi parts and factory-trained master technicians. Selling or trading your vehicle? Bank Street Mitsubishi sells thousands of used cars, and we buy them too! Let us estimate your vehicle's value for free, and please search our fantastic used vehicle inventory.